On Friday 24th August 2018 Tom Davies and Reuben Williams attended the 2018 New Zealand Building Industry Awards in Auckland. BMIS Building Materials Information System, an asbestos management software was entered in the Innovation category and was awarded a Highly Commended. The NZIOB’s Awards programme began in 1994, with the initial emphasis being on recognising the achievements of project managers running commercial construction projects. Over the years, categories such as the ‘Innovation Award’, ‘Young Achiever Award’, and ‘Safety Excellence Award’ have been introduced to provide a broader industry focus. 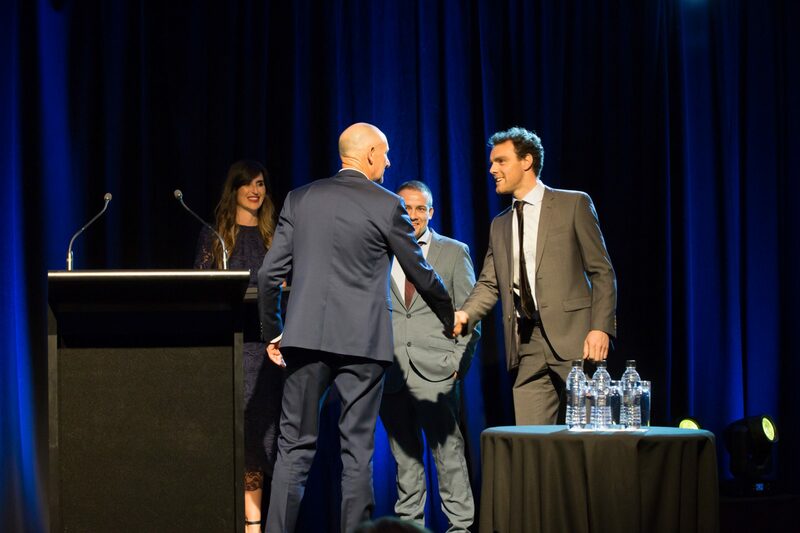 For 2018, the New Zealand Building Industry Awards has introduced a ‘Consultant’s Award’ category, and an ‘Interdisciplinary Collaboration Award’ category. The result is that the New Zealand Building Industry Awards now have a category that all high-performing building practitioners can enter. 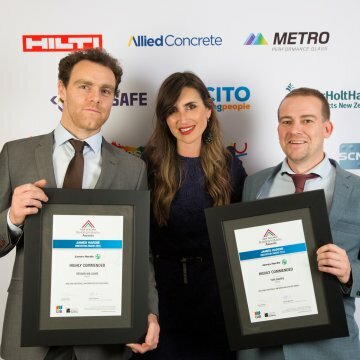 The New Zealand Building Industry Awards are open to anyone in the building industry, and entries are judged by a panel of senior construction practitioners.